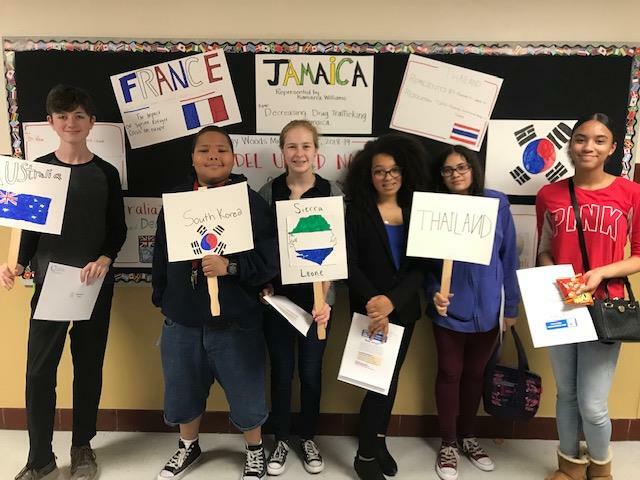 Fifteen Brittany Woods students participated in Civitas' Middle School Model UN in April. Click headline to read more. 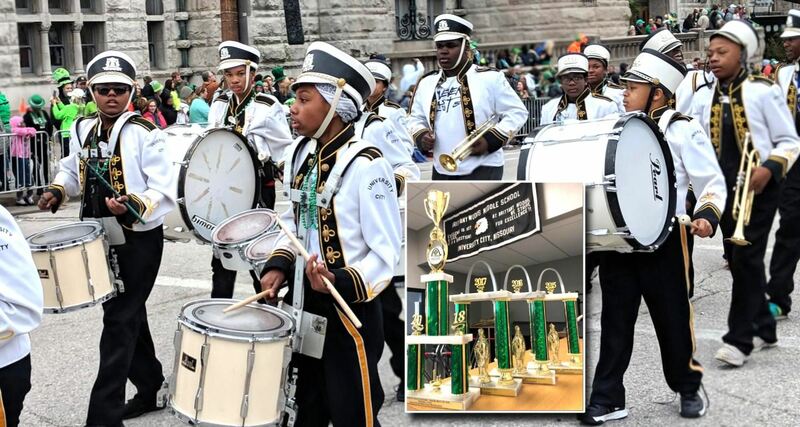 Congratulations Brittany Woods Marching Band for their FOURTH consecutive win as "Best Junior Band" in the 2018 St. Louis St. Patrick’s Day Parade. Click headline for photos and to read more. 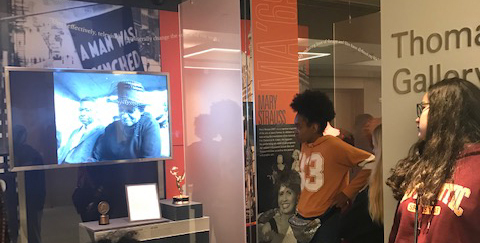 Brittany Woods eighth-grade students visit Washington University in St. Louis campus for an expanded lesson in social studies. Click headline for more photos and to read more. 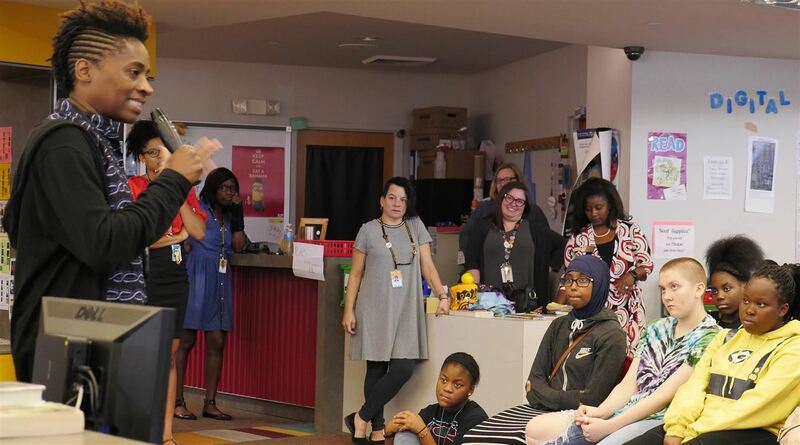 Children’s book author and National Ambassador for Young Peoples’ Literacy, Jacqueline Woodson, visited University City on Sept. 10. Click headline to read more including how to donate her books for classrooms. Project RESTORE partnered with Brittany Woods Middle School for Back-to-School BBQ & Popsicles with Principals on Aug. 13, 2018. Click headline to read more. Transitioning to 6th grade at Brittany Woods Middle School? Click here for more information - just for YOU! New website includes Peachjar electronic flier distribution. Click on the Peachjar button below.